Super Mario 64DD planned to be released on the Nintendo 64 Disk Drive, but never officially released. However, a copy has been found, and the disk content has been ripped and made playable on an emulator. Disk Drive games has been given the filename .ndd, and you cannot use a normal emulator for this. The website 64DD.org has developed their own version of Project 64 which runs these Disk Drive roms, you can download it in the attachments below, or at 64DD.org. NOTE! The 09/2016 release of the emulator has proven to have some problems. Build 05/2016 has been proven to work. Both are included in this archive. 3. 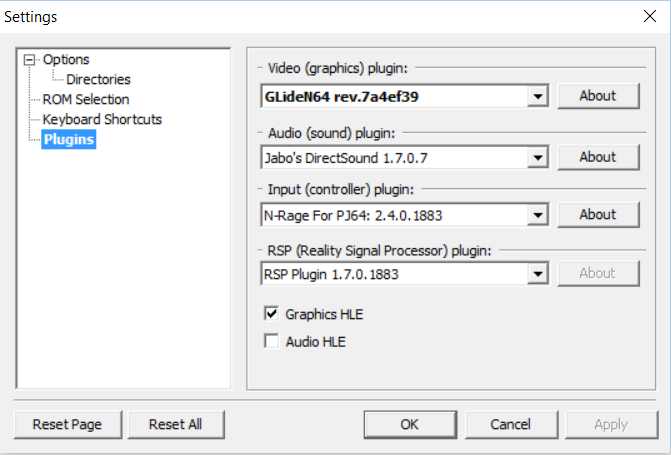 Click Options > Settings, choose Plugins, choose GLideN64 rev.xxxxxxx as the video plugin and make sure Graphics HLE is checked. 4. 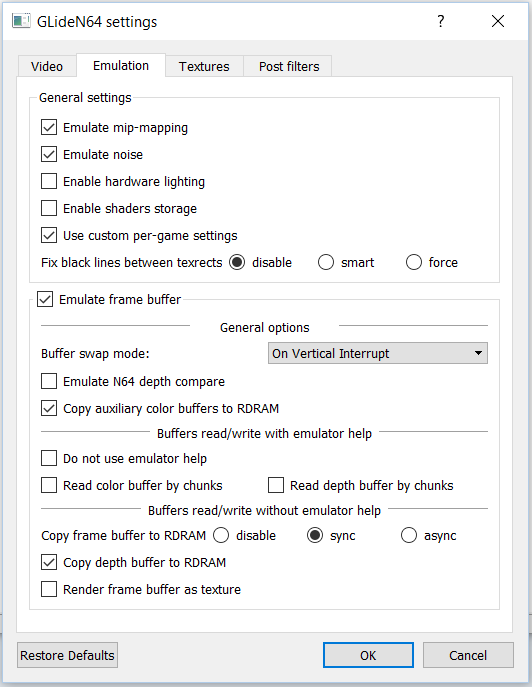 Click Settings > Configure Graphics Plugin and choose the Emulation tab. Set your settings as the same as on the picture below. Other graphics plugins may also work, although make sure they're configured the same way. 5. Open the ROM file. (File > Open) The Open dialog will show two times. First Choose the SM64Disk.ndd file, then the N64DD IPLROM (J).n64 file. The emulation should now display an error message, don't worry, this is easy to fix. 6. 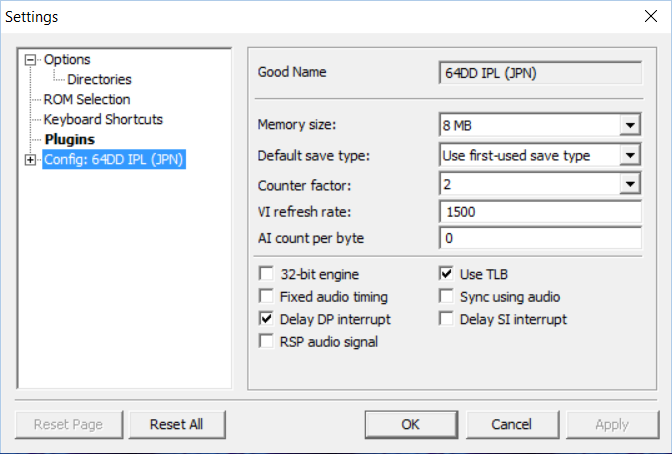 While the rom file is open, go to Options > Settings and select Config: 64DD IPL. Set memory size to 8MB and the rest of the settings as they are on the picture. There's not spotted lot of differences, but some hidden content has been spotted on the drive, courtasy of The Cutting Room Floor. Visit 64DD.org for more disk drive games and info. Current time: 04-22-2019, 08:22 PM Powered By MyBB, © 2002-2019 MyBB Group. By using our website, you agree to our Terms of Service.